WE'LL SEE YOU IN THE MUD! A great time is first on the list. Whether you are 22 or 72, this run is challenging and rewarding while maintaining a family friendly atmosphere. Race time is 8:05 am on Saturday morning. We HIGHLY suggest giving yourself plenty of time! There will be gate traffic and parking time. Please arrive by 7:00. 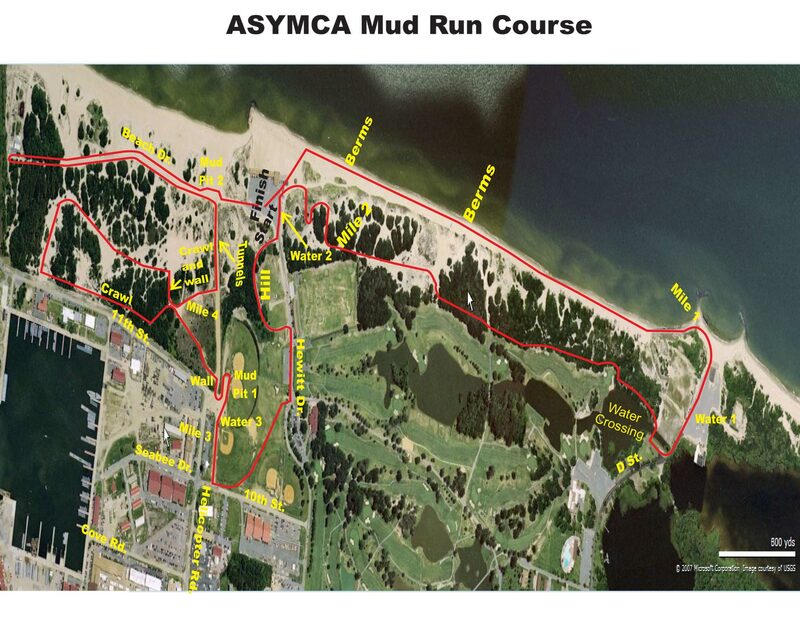 This challenging 8K course winds through sand dunes, and a variety of coastal terrains with obstacles like a low crawl, a 5 foot wall, a series of beach barricades, and mud pits and some new obstacles for the 15th anniversary all before coming into the homestretch. Come out and see where America's finest train every day and run a few miles in their shoes. Make sure you leave plenty of time to allow for waiting in line at the base gates, parking & walking to the race area. Traffic gets congested on race day! Complete parking instructions with maps and base passes will be included in the packets you receive at package pick-up. Your race bib & t-shirts will be included as well. Timing chips will be checked out and returned on race day. Due to the events surrounding the Boston Marathon tragedy, the base police will be enforcing a "NO BAG RULE" at the Mud Run. No bags or back packs of any kind will be allowed. We are planning to have a clothes check in area where we can hold any personal belonging that you bring with you. Beer for athletes 21 & older, activities for children, music, pizza, & of course the gorgeous Chesapeake Bay to cool you off after your run! Plan to join us for our post-race celebration with the whole family! Non-participants can enjoy food and drinks with the purchase of a "CHEER BAND" for just $5. Sounds Fun, But…What Do We Get? Supporting our efforts in providing low-cost or NO-COST programs to service members and their families! Click th image above to download the course map! Just head to the base at JEB Little Creek.